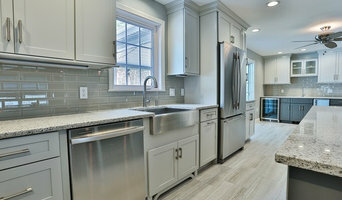 Metro Design and Staging, Inc.
Metro Design is a full service design and home staging company dedicated to helping realtors, investors and home owners prepare their property for sale. With a large inventory of brand name furnishings, art, and accessories we will represent your property according to the demographics of your market whether it be traditional, contemporary, urban or rustic, highlighting your home to help your prospective buyers better visualize it's potential. Understanding that staging is an invaluable tool for selling your property quickly for maximum value, I personally strive to make that my number one priority. I am a Certified Staging Professional with a commitment to quality, value and integrity. Staged Occasions is a full service Home Staging company. We help clients market their properties and make them stand out among the other properties on the market. This includes a variety of techniques that transform a home to appear more like a model home with the goal to create a cozy, comfortable and inviting home that buyers can envision themselves and their furnishing in easily. Whether you are looking to sell your home for top dollar by professionally staging it using our home staging services (both occupied and vacant homes), or love the look and feel of your home after achieving the Color Perfect Home through one of our color consultations or take it a step further and let us help you with redesigning your spaces, we'd love to be a part of your project! We are passionate about making each space the best it can be through highlighting architectural stars in your home, addressing challenging areas resulting in a space which is inviting and fits your style and needs. If you have ever picked the wrong paint color or just can't get that space to be what you'd like it to be either to sell or live in, we are happy to help and provide the right amount of support you need. If you are the DIY type with very specific needs or need design or staging services for your whole home, we fit our services to your needs and budget. We serve towns north of Boston (Melrose, Wakefield, Reading, North Reading, Lynnfield, Stoneham, Woburn, Wilmington, Winchester, Lexington and surrounding areas. Don't see your town listed? Contact us to find out if we can service your area! A well staged home typically sells faster for more money. That's the goal in any market, and that's where we can help. We know how to enhance the selling features of your home and style it to appeal to the most buyers. Whether you are a homeowner or broker, we have packages available for every need and budget. We also offer home styling for clients who want to refresh and rethink their spaces. We'll show you how small changes can have a big impact while celebrating your personal style. Home Redesign and Space Planning. Houzz Contributor. Full service home staging and redesign. We are a premier home staging company. Our goal is to present your home in a way that will result in a faster and higher offer and to make the transition as smooth and stress free as possible. Stage It For Success will maximize your homes potential and accentuate your home's best qualities in a way that attracts more home buyers by making a great first impression. I will work with you and within your budget to prepare your home to sell faster and for top dollar. Specializing in staging vacant and occupied homes and condominiums. I work with homeowners, realtors, developers and investors. We pride ourselves on great staging that not only looks gorgeous, but gets REAL results for our clients! We work our magic on both vacant and occupied properties. Not selling? No problem! We also specialize in affordable decorating. Whether you want to use what you already have, start from scratch, or somewhere in between we'll work with you to totally transform your space! 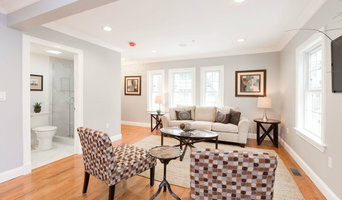 Buyers Desire Home Staging, Inc. is a full service real estate staging firm. We offer expert advice and inspired design, incorporating a wide range of up-to-date inventory that will entice the appropriate buyer demographic for your home. We are certified by the top staging and redesign school in the country and supported by the Real Estate Staging Association. We are dedicated to creating a home you will be proud to show and buyers will desire. What does a Burlington home stager do? 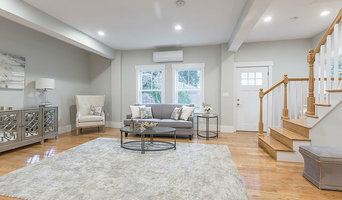 Home staging companies in Burlington, MA employ a variety of different techniques to present the home in the best light possible. The first step will likely be to make sure the home is impeccably clean, including the exterior of the house. Next the home stager will work on removing the personal touches that are unique to the current owners. Paint colors might go from dramatic reds and purples to neutral tones like beige and taupe, in order to appeal to the masses. The home will likely be cleared of family photos, risqué artwork, collections and knickknacks, so potential buyers will be able to better envision their own life in the house. In some cases furniture will be swapped out, and you might not even recognize your own house. Some Burlington home stagers tackle most of these tasks themselves, while others work with subcontractors and other professionals to get the job done. Here are some related professionals and vendors to complement the work of home stagers: Interior Designers & Decorators, Photographers, Real Estate Agents. The process of staging a home can be difficult for some homeowners, especially when being asked to change things you’ve poured your heart and soul into over the years; but try not to take anything personally, as the stager only has your best interest in mind and no intention of insulting your personal taste. Before you contact a professional home staging company in Burlington, MA, make sure to consider a few things: Are you willing to change your home and take the advice of this professional to help sell your house? Do you think your house would greatly benefit from the help of a stager? How long are you comfortable having your home on the market? A staged home is likely to sell faster and, on occasion, at a higher asking price than a non-staged home. While there is no guarantee this will always be the case, it’s often true and can make the entire selling and moving process a lot less stressful in the long run. If you are selling through a real estate agent, it’s a good idea to get their opinion on whether staging your home would be beneficial to your specific situation. Find a certified Burlington home stager on Houzz. 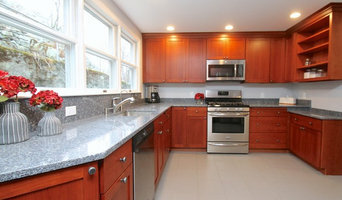 Narrow your search in the Professionals section of the website to Burlington, MA home stagers. You can also look through Burlington, MA photos by style to find a room you like, then contact the professional who staged it.